When the Nevada County Habitat for Humanity was obtaining permission from the City of Grass Valley for its 16 home Heritage Oaks Subdivision, design criteria for the aesthetic features of the homes and landscaping were imposed. The homes are designed to fit in with the historical and traditional architecture of downtown Grass Valley. Grass Valley, CA is in the heart of the Mother Lode Gold Country and is the site of California’s first quartz gold discovery so the gold mining era has a rich history that is well reflected in area architecture. The architectural design features include Victorian gables, miners cabin style covered porches, and board and bat features, complementing the local milieu. The project homes were designed by Tony Rosas and Associates. 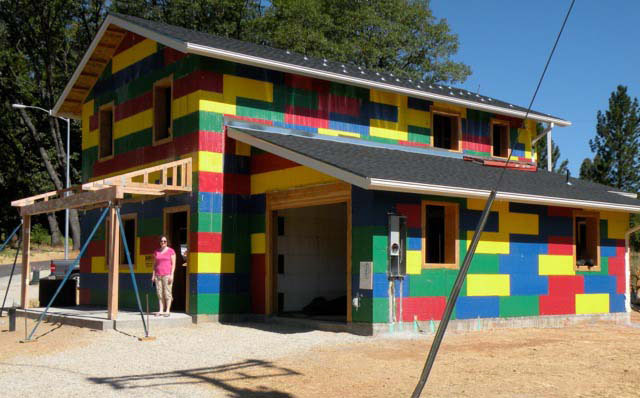 We chose to paint all the ICF blocks the BuildBlock company colors: green, yellow, red and blue, as an attention getter for the house­…which during construction, makes it look as though it is made out of Lego blocks. 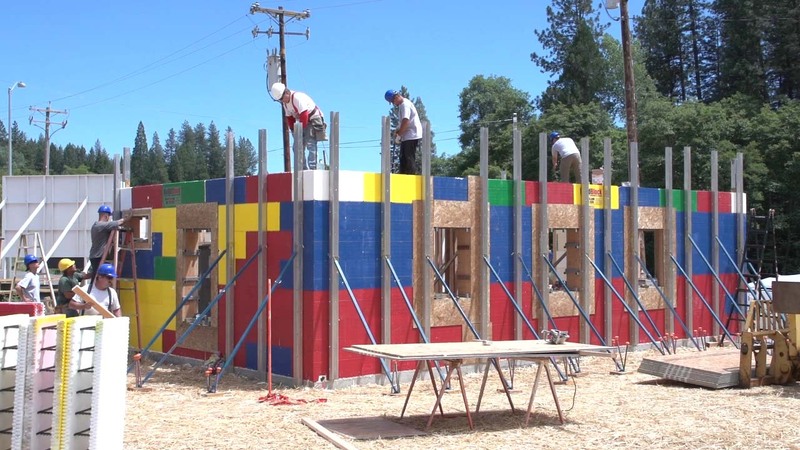 This is the first ICF home built in the city limits of Grass Valley, California. An average 3-4 people a day were attracted to the colors, even drawing visitors from the nearby freeway to go out of their way and visit the site. We faced the challenge of taking a pre-designed 1508 gross square foot, 2×6 wood frame R-19 project, and converting it to ICF without losing any of the interior dimensions. The team had to continually juggle the house orientation on the very small 3410 square foot lot, in order to increase the floor plan while meeting all the city required setbacks. Coordination and creativity were further pushed to include the addition of a 42 square foot mechanical room not in the original plan. Team members felt that since the house is of such an energy sustainable design, a good choice for heating and cooling would be a Geothermal Ground Source Heat Pump (GSHP). The specific unit is a two and a half ton Ground Source Heat Pump (GSHP) by Hydro-Temp, Inc., utilizing a Bristol V-Star® compressor. A typical wood frame house would require a three ton unit. One of the unique features in this home is the front door and living room window buck design. By using wood bucks, we were able to create a very pleasing aesthetic for the door and windows by utilizing a Deco-type pattern that is repeated in scale and depth, which enhances the features of the thicker ICF walls. The project home is a fireproof structure in an extremely fire prone area. Open cell spray foam was applied underneath the roof sheeting making the attic (1) a conditioned space and (2) allowing an unvented soffit, which removes the expense of the California Fire Marshall approved soffit vent while making the home more disaster resilient. Once attic venting is eliminated, during a fire, hot embers are no longer drawn into the attic. All gable ends and garage exterior walls were completed in ICF to get full advantage of the ICF Effect. Two inches of BASF brand closed call spray foam was applied underneath the slab-on-grade foundation to create a thermal break between the slab and earth, in addition to sealing the slab from water hydration. 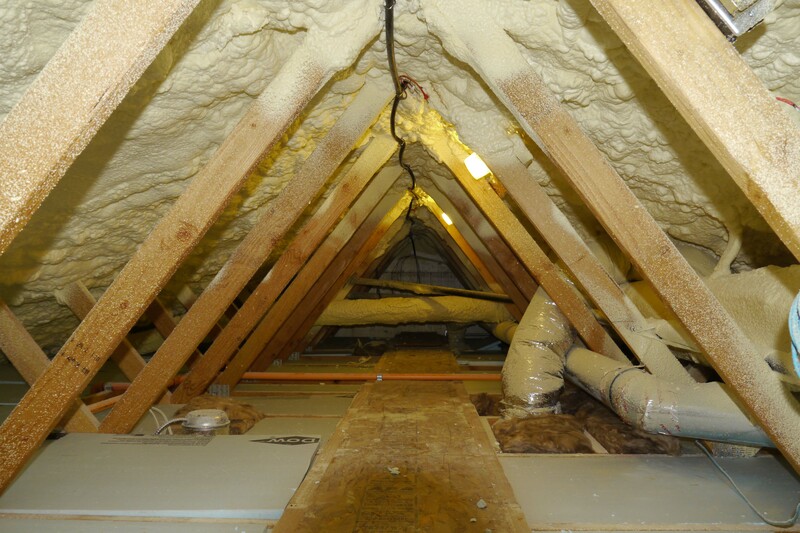 Five and a half inches of BASF open cell spray foam was applied in the attic, providing the most effective insulation possible and preventing major air infiltration to that space. The house is extremely air tight, blower door test results show the Air Change per Hour (ACH) is .0235. 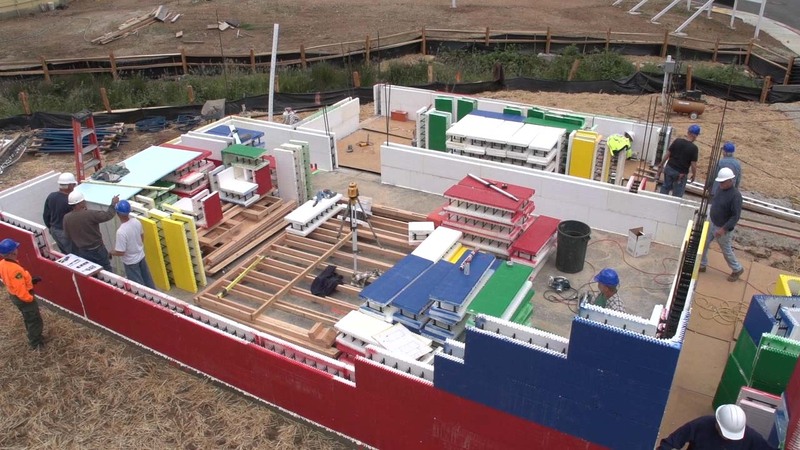 One new technology the team decided upon was the use of Helix® microbars as substitution for 95% of the rebar typically used in ICF walls. The use of Helix® microbars reduces the installation time of the ICF block and enhances the bending moment during an earthquake because the microbars are distributed evenly throughout the concrete versus traditional rebar. Rain gutter downspouts were enclosed inside the ICF walls for a cleaner aesthetic appeal. Roof connection was accomplished using Simpson LT2A roof connectors embedded into the concrete walls without using any wood top plates what-so-ever…allowing a more robust truss connection while minimizing air infiltration. This provided a higher R-value of the roof-to-wall connection. Hy-Tech Insulating Ceramic ThermaCels® paint additive was applied underneath the roofing material as a reflective barrier. This serves to (1) offset and reflect heat generated by the solar panels and (2) reduce the thermal gain in roof sheeting and attic space, extending the life of composition roofing materials. A Venmar 1500 Heat Recovery Ventilator (HRV) was used to meet fresh air make up standards for California home construction, plus regulate a flow of fresh air to exhaust stale, humid air, off-gas content and used in both bathrooms as a exhaust fan. The HRV performs a energy exchange process which eliminates most heating and cooling costs associated with bringing in fresh air. The house is situated within 100 yards of California Highway 49, a four lane freeway. The insulating properties of ICF construction completely block out the freeway noise when doors and windows are closed. The use of solar photo voltaic offsets daylight energy use and helps bring the home close to net-zero energy efficiency within a 100% electric home. Presently, recently collected data suggests the house is within $45 per month of attaining net-zero energy efficiency. Approximately 11-13 kilowatt hours per day at 13.5 cents per kilowatt hour is being consumed for heating, cooling, and hot water generation.We are still evaluating the energy consumption of the house, another six months minimum will be needed to have a comprehensive energy analysis of the heating, cooling and hot water energy costs. VA Gauthier Construction solicited donations from suppliers, manufacturers, and sub-contractors for labor and materials. 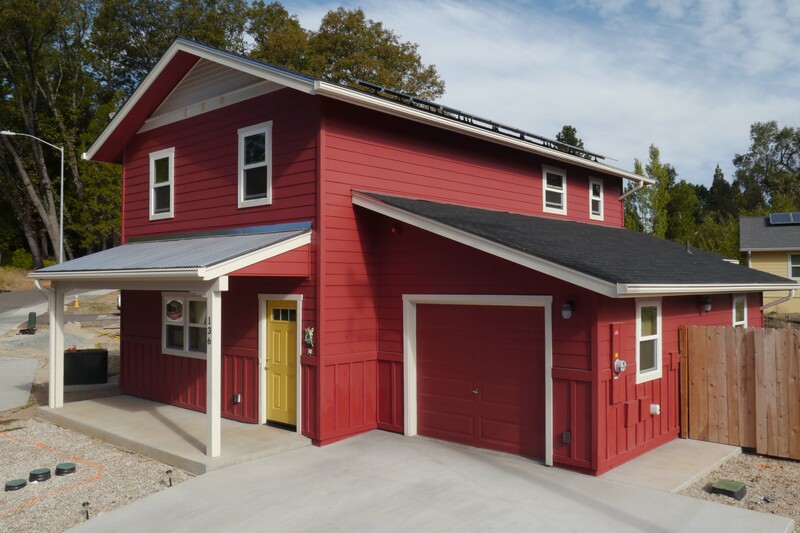 He had to offset the cost difference between the typical Habitat house: 2×6 exterior walls, Ecobatt insulation, with a heating system only ;and bridge the gap to the adopted strategy of an affordable home that was also green and sustainable. V.A. Gauthier donated all rebar and ICF blocks for the project. Helix® donated enough of their concrete additive microbars to do two houses. Insulation Solutions of Grass Valley donated all labor and equipment, and was able to get their supplier of BASF spray foam to donate all of the materials. Fast Response Fire Sprinkler Systems, designed and installed the fire sprinkler system, and was able to get his supplier to donate all materials for the system. 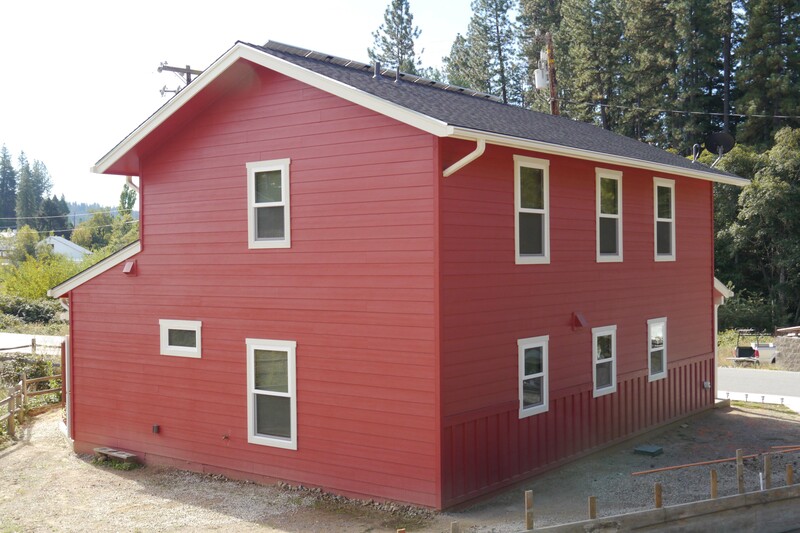 This is one of the first few residential systems installed within the Grass Valley, CA city limits. Venmar donated a 1500 series Heat Recovery Ventilator (HRV) unit, Peters Drilling & Pump Service of Grass Valley, donated labor and materials for a vertical bore hole required by the ground source heat pump (geothermal) and also grouted the bore hole ground loops. Funston Industrial Sands of Oroville, CA, donated the bore hole grout and sand. Hydro-Temp, Inc., discounted the ground source heat pump and donated data logging software to monitor the pump performance. Hansen Brothers Enterprises gave a very generous discount on concrete and Hansen Brothers Rentals donated all necessary rental equipment including scissor lifts, all terrain man lift, grade-all, and many more pieces of equipment. Byers Leaf Guard Gutter Systems donated the gutter systems and had a crew of 12 men work on the project construction site for two days. Over the next month and a half, VA Gauthier with a small contingent of volunteers continued to enclose the house. Other sub-contractors who had committed to Blitz-Week: plumbers, electricians, fire sprinkler and HVAC installers, all continued with their commitments as the house became ready for their portion to be worked on.At the end of August, Habitat decided to have their team oversee the completion of the project. VA Gauthier worked along side the Habitat team until the final city inspection on December 4. People within the industry and a volunteer community came together to build a house that the new homeowner would likely not be able to afford at full market value. 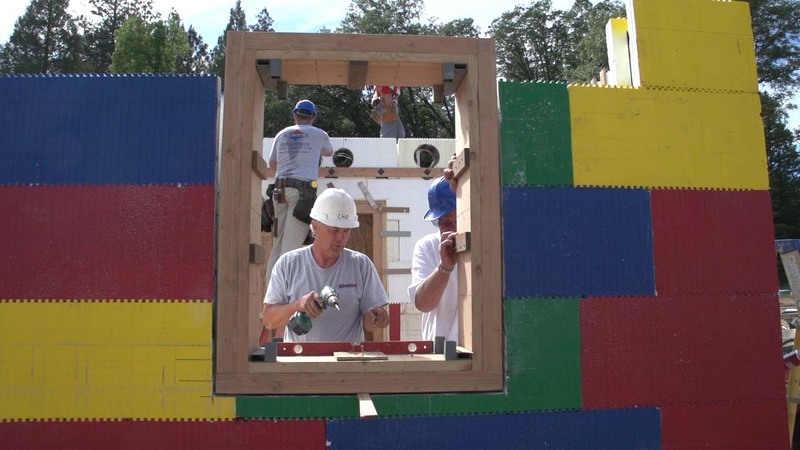 The Habitat for Humanity concept is a hand-up not a hand out. 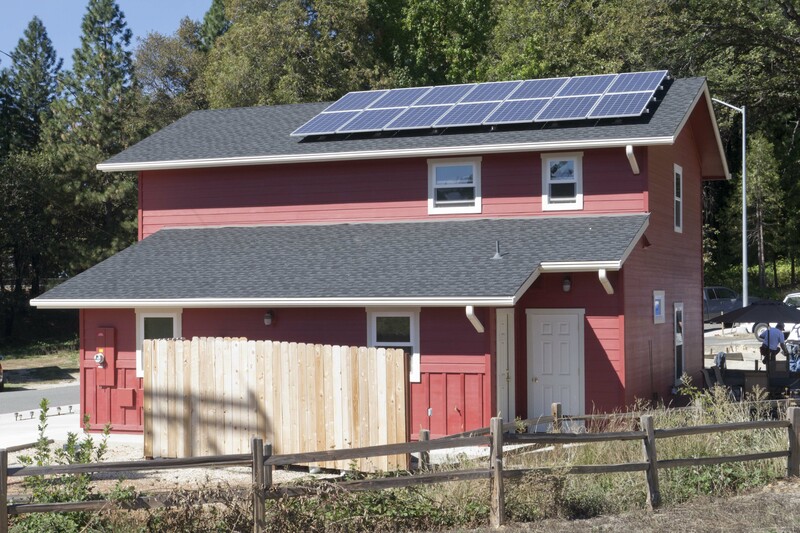 This community and the vendors enthusiastically rallied around the concept of building a future model for sustainable, green and affordable homes.New owners, the Marquez family began the move-in on December 22nd, 2012.